This summer I have been to four different house warming parties, which means four of my friends have made the exciting leap to being house owners! All of them are pretty different people so when I was thinking about this post I thought I would split it up into personality types. Have you been to any housewarming parties this summer? What was the best gift you gave, big or small? Now that The Nester has their own place they are in their element, their home is being built and built thoughtfully. When thinking about gifts for The Nester think about items which will enrich their home but you can also be sentimental or nostalgic! For a larger gift think about breadmakers- because who doesn't love the smell of freshly baked bread! Panasonic have a great selection of them! On the smaller scale picture frames like this gold geometric one from Urban Outfitters are a great. The Designer is cool and trendy, therefore The Designer's House will be ridic cool and trendy. 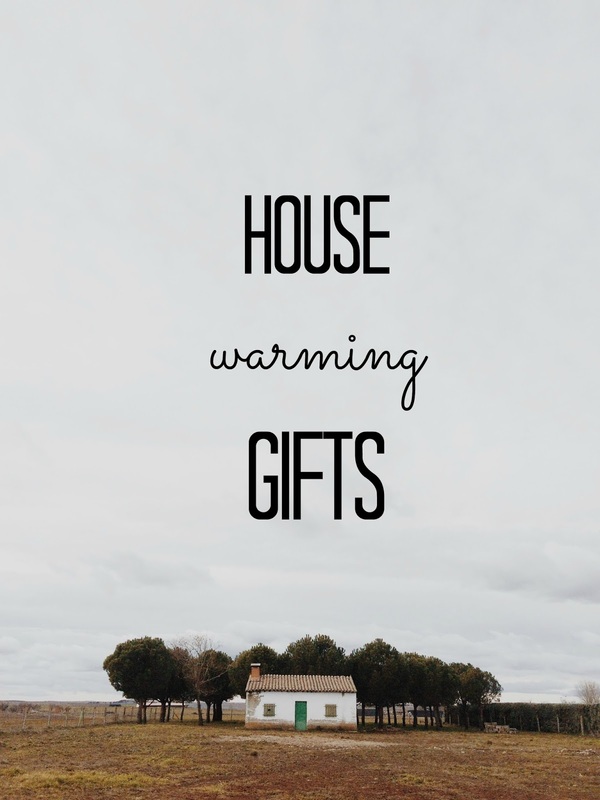 The Designer was the hardest person for me to buy for but after extensive Instagram stalking I managed to pick a gift so start by heading to Instagram and examining any clues about home interiors or aesthetics you can find! The Designer will be all about aesthetic functionality, so the best gifts will be both useful and beautiful. For me the answer was some stationery, in particular one of my favourite brands of notebooks. I went for the Leuchtrum1917 in black with dotted paper, you can find it here (it's absolutely gorgeous). Oliver Bonas is my go-to for items with aesthetic functionality so you might want to check them out. The Party-er's home will be the entertainment and social hub, so think all things fun! When in doubt you can opt for a favourite bottle of alcohol but you can always be more adventurous than that! Every Party-er needs a good but easy sound system, so if you wanted to club together with some friends you could look at these portable speakers. Whilst if cocktails are your host's things a cocktail set is a must, if they already have one then maybe these cocktail themed PJs are great! The Wanderer's house is a shrine to all things travel, whether it's trinkets from previous travels, travel inspiration or the always packed hand luggage ready for the next trip away. So when buying for The Wanderer you can pick things that are interesting and quirky to fit with their eclectic style or equally something useful! A cacti or succulent terrarium is the perfect low maintenance plant based gift for The Wanderer as it will survive despite their frequent trips away. My favourite starter one is here from Urban Outfitters- which reminds me to start my own terrarium when I move house soon!